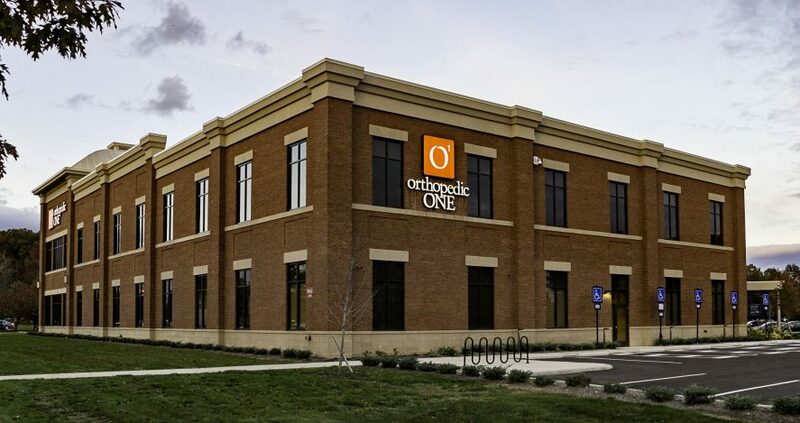 Orthopedic One’s desire to accommodate patient convenience led to the design and development of a new ambulatory surgery center, which also provides physical therapy services. 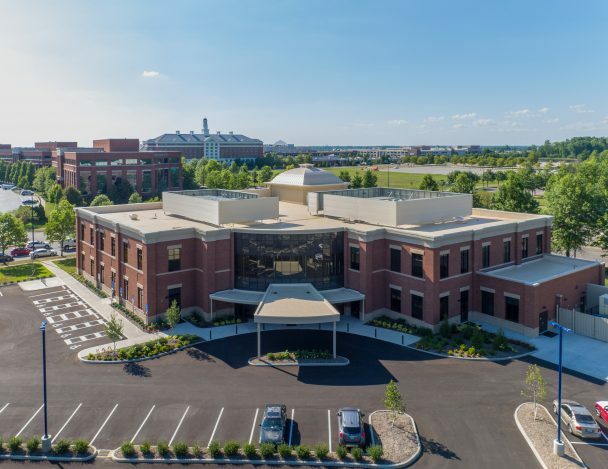 Due to its prominent location in Central Ohio, Easton Town Center, a premier mixed-use development, was selected for the location of the facility. 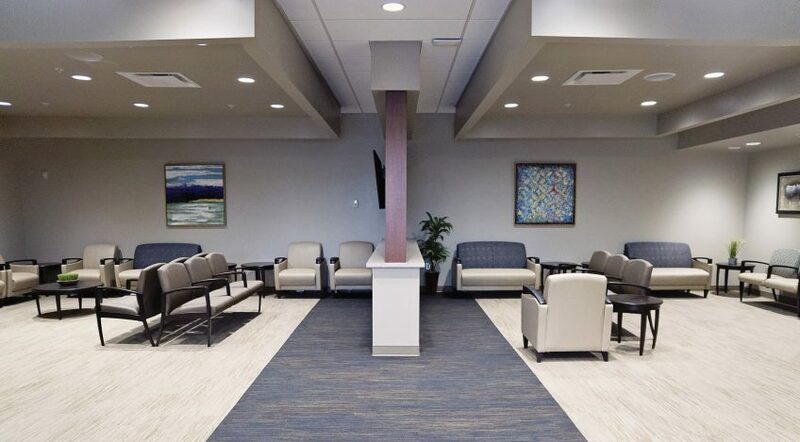 The overall organization of the design provides a circular flow in the surgery center, which was determined to be the most functional for the practice’s needs. The circular flow not only addresses cross-contamination and patient safety concerns, but also maximizes staff efficiency. 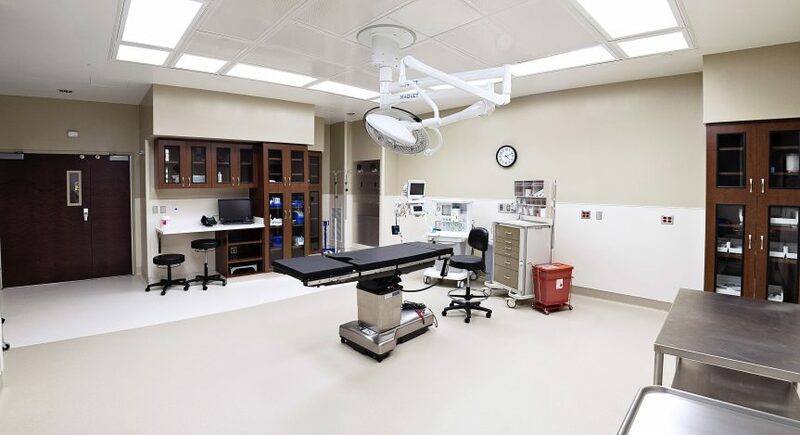 A dedicated staff entry provides easy circulation through the locker rooms, to the pre/post-op areas, and into the surgery area and operating rooms. 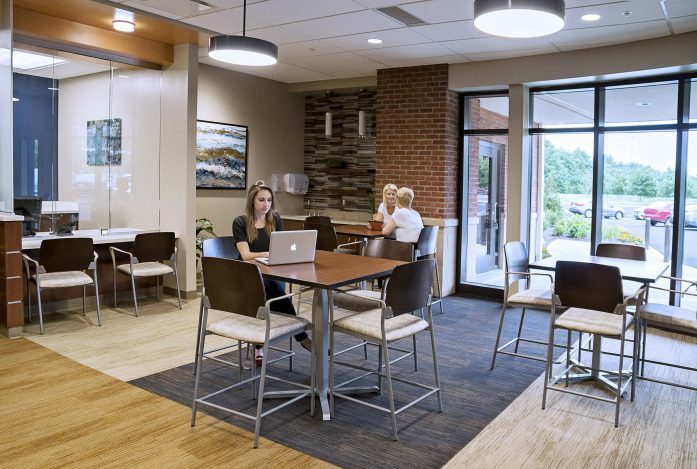 Located on the second floor, the design of the physical therapy space presented a challenge. 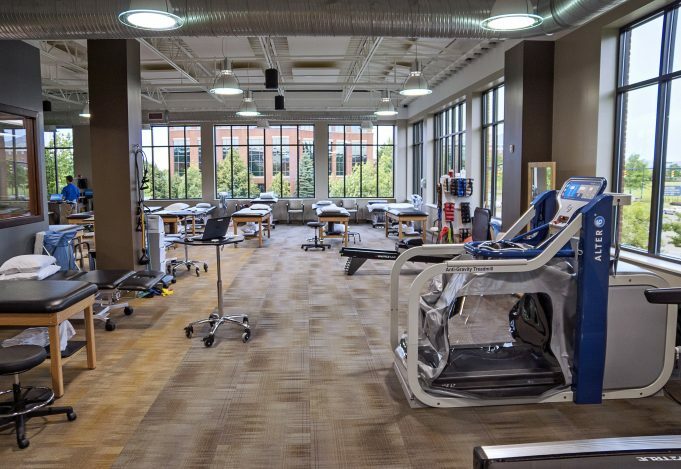 All parties involved wanted to protect surgery patients in recovery, located below physical therapy, from the noise and vibrations of equipment and patient activity. 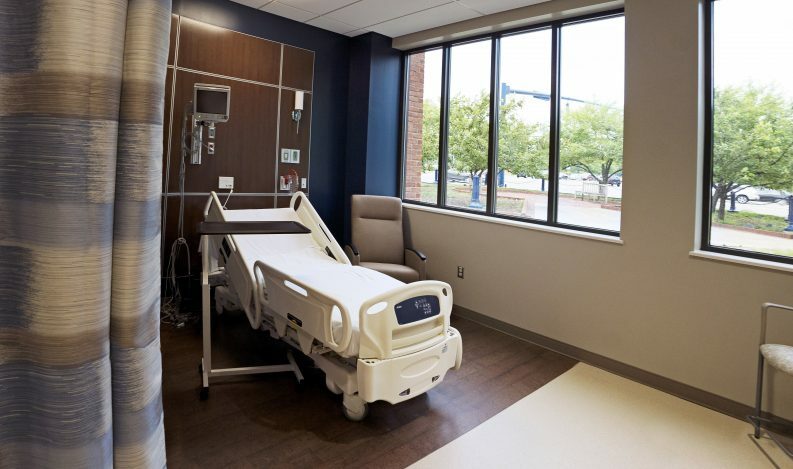 An isolated floating floor was installed to mitigate these concerns and prevent noise transfer. 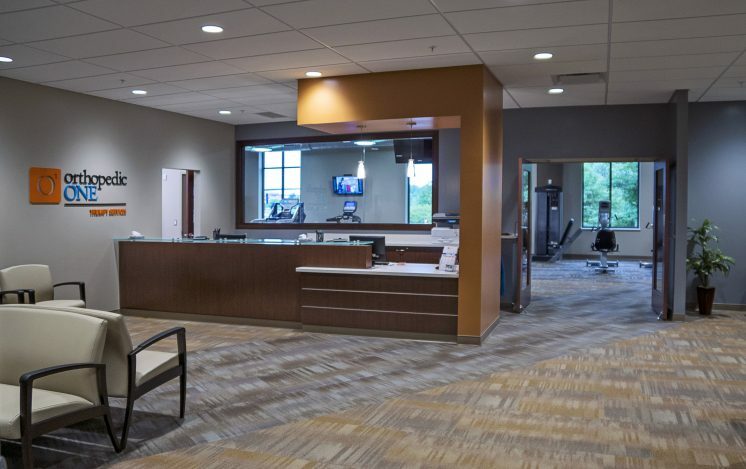 The physical therapy space contains a turf area to simulate athletic fields, an open gym, exam rooms, locker rooms, and laundry facilities. First floor staff shares the conferencing space on the second floor with the physical therapy staff. 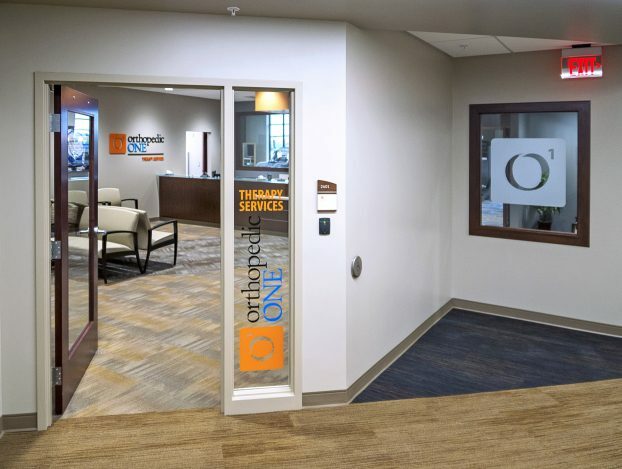 This is designed to bring the two teams together, as well as save square footage and development cost.